SpaceX just launched an Israeli mission toward the moon. If successful, it would be the world's first private lunar landing. SpaceILAn illustration of ‘Beresheet,’ a 1,300-lb robotic lunar robot that could make Israel the fourth country ever to land on the moon’s surface. 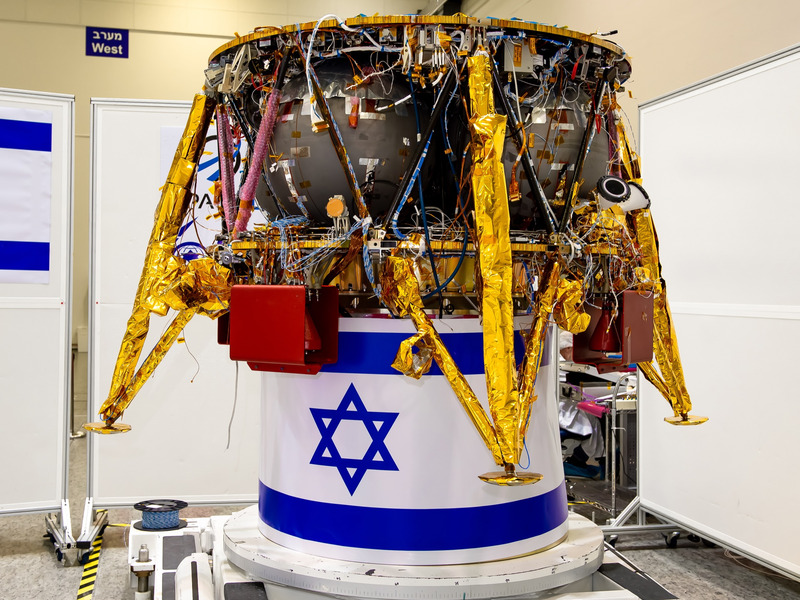 Whether or not the mission successfully lands on the moon’s surface in about two months, the effort will carry lasting significance to Israel and the country’s nascent space industry. The $US100 million mission is headed by a nonprofit called SpaceIL, which designed and built a 1,322-pound robotic spacecraft called “Beresheet.” That’s Hebrew for “in the beginning,” which is the first phrase in Genesis in the Bible. Beresheet – which is equipped with cameras, magnetic sensors, and transmitters to relay data to and from to Earth – launched on Thursday inside the top of a Falcon 9 rocket in Cape Canaveral, Florida. SpaceX’s rocket lifted off at 8:45 p.m. EST, riding a tower of flames into the night sky, and Beresheet deployed from the rocket’s upper stage about half an hour later. “SpaceIL has confirmed signal acquisition and landing-leg deploy. They are on their way to the moon,” a SpaceX flight controller said during a live broadcast of the launch. Morris Kahn, a South African-born entrepreneur and billionaire who lives in Israel, is the biggest funder of the SpaceIL mission. In an interview with Business Insider prior to the launch, Kahn said he’s shouldered about $US43 million of the $US100 million cost for development and the SpaceX rocket launch. SpaceILAn illustration of SpaceIL’s ‘Beresheet’ moon robot deploying from a rocket above Earth. In early 2011, Kahn attended an international space conference in Israel, where a presentation by three young engineers –Yariv Bash, Kfir Damari, and Yonatan Winetraub – caught his attention. After the SpaceIL presentation, Kahn – who at the time had a net worth to close $US1 billion – asked the group’s leaders if they had any money. Kahn said “the project really began to chew up money” early on, so he asked for a budget. 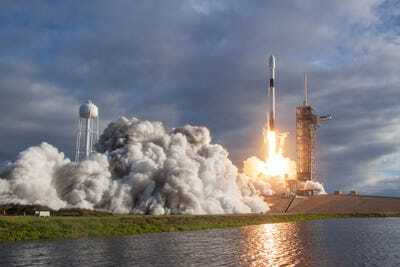 The team came back with an estimate of $US8 million for research, development, and testing, and about $US5 million for a rocket launch – “quite a lot of money,” Kahn said. But he initially agreed to pay for the rocket launch. Over time, the organisers of the Google Lunar XPrize kept pushing back the contest’s 2014 deadline. But the competition was ultimately shuttered in January 2018 without a winner. He also helped fundraise from other sources, including roughly $US2 million from the Israeli government. Kahn said it was not easy to raise the money, but he appealed to the national pride of Israelis. Still, $US100 million is a pittance compared to the $US469 million that NASA spent in the 1960s on seven similarly sized Surveyor lunar landers. When adjusted for inflation, that sum is roughly $US3.5 billion today – about $US500 million per mission. SpaceX/Flickr (public domain)The Es’hail-2 mission launches toward space aboard one of SpaceX’s Falcon 9 rockets on November 15, 2018. 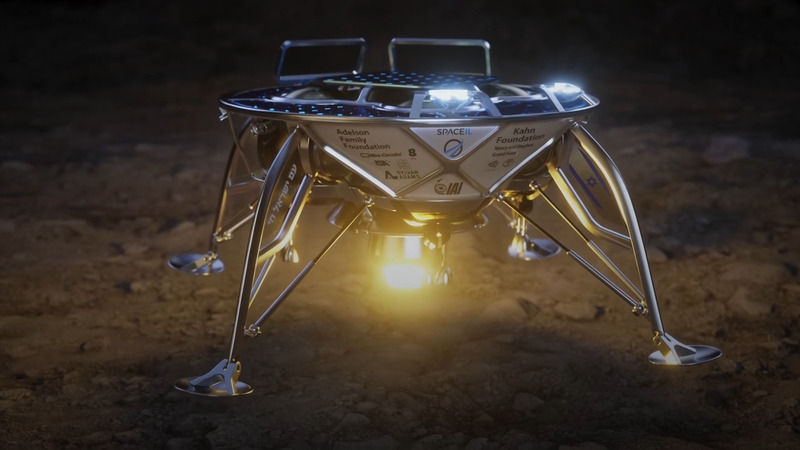 To achieve a lunar landing on a tight budget, SpaceIL claims its robot “will be the smallest spacecraft to land on the moon to date.” Beresheet is just shy of 5 feet tall and six feet wide, making it relatively easy to squeeze aboard a rocket. Because the spacecraft was built to be light, it has no cooling system and will overheat in the blistering sun on the moon, perhaps after about three days. The robot also cut costs by not launching alone. Instead, it “rideshared” or piggybacked into space with two other payloads: A small and experimental US Air Force satellite called S5, and a 10,000-lb. car-size Indonesian communications satellite called “Nusantara Satu” or PSN 6. SpaceX launched all three spacecraft on a Falcon 9 rocket with an already twice-used booster. Despite difficult landing conditions – what SpaceX described as “spicy” and the toughest to date – the refurbished booster successfully landed on a ship at sea for a third time, likely netting SpaceX millions (if not tens of millions) of dollars in hardware it doesn’t have to build again. Read more: Elon Musk beat a world record for rocket launches in 2018. Here’s every history-making SpaceX mission of the year. SpaceIL declined to share how much it’s paid for the launch. But pricing tables from the company in charge of arranging the rocket rideshare, called Spaceflight Industries, suggest that Beresheet’s flight cost about $US22.5 million – far less than the $US62 million list price of an exclusive ride on a Falcon 9. About 75% of Beresheet’s mass is made up of fuel, which will propel it into lunar orbit – a trip that will take the probe about six weeks. Once the moon’s gravity captures the robot around April 4, it will shrink its orbit over the next week. A final burn of Beresheet’s rocket engine on April 11 will bring it down to the lunar surface in about 15 minutes. The probe will navigate its lunar landing using autonomous software and a computer about as powerful as a smartphone. A set of 3D-printed legs will cushion the last 16 feet of its free-fall. 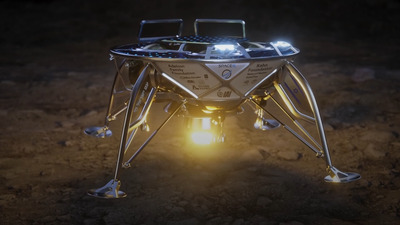 SpaceILThe ‘Beresheet’ lunar robot designed and built by SpaceIL. If it lands successfully, the robot could make Israel the fourth country ever to softly land on the moon’s surface. 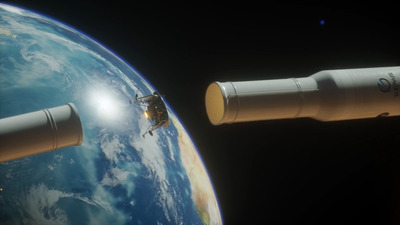 Until it overheats, Beresheet will take measurements of the moon’s magnetic field there using an instrument supplied by the University of California, Los Angeles. SpaceIL plans to share the data it collects with NASA and other space agencies. The spacecraft may also try to “hop” to another location using its thrusters. Kahn says the scientific mission is not as important as what Beresheet’s landing would symbolise, true to the meaning of its name. Retired NASA astronaut Scott Parazynski also sees the mission as stepping stone to a larger future for Israel’s space industry, which is already known for satellite manufacturing. Kahn said there is “no guarantee” the mission will succeed – “It just takes one little glitch and we’ll actually fly off into space and lose control,” he added. But even if it fails, he thinks the “Apollo effect” of encouraging young Israelis to dream big about their futures in science and engineering is already a success.